Costs only £10 (about $13 or €12) per month. More details here. You can give someone a gift certificate for three, six or twelve months of Change Circle membership. Details here. 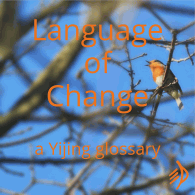 I Ching Community membership: get help with your readings and share your insights. Get more details and join here. 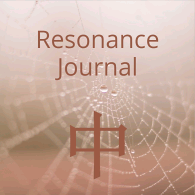 The I Ching Community’s unique collaborative, experience-based hexagram-by-hexagram commentary. 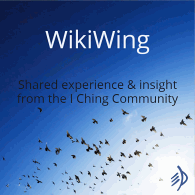 You can join, consult and contribute to WikiWing on a ‘pay what you want’ basis, starting from all of £1/month. Get full details and join here. 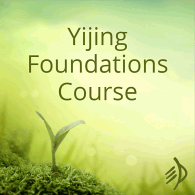 Software to record your readings, dreams, synchronicities and reflections – including full Yijing translations, commentary and Language of Change glossary. Download the 30 day free trial from here or purchase your lifetime license key for £30 (about $39 or €35). – the fundamentals for confident interpretation, available in video, audio and pdf ebook formats. 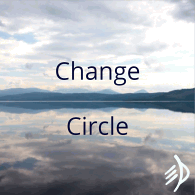 This course is included for no extra charge as part of Change Circle membership, or the self-study version can be purchased separately for £75 (~$98 or €87). 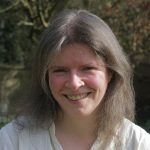 30 minutes’ chat to get unstuck on a reading, for £30 (about $39 or €35) – visit this page to see if this would suit you.